I upgraded storage on iCloud and ticked the desktop and documents option. I expected it to copy my files into iCloud. It seems to have deleted the lot from my machine in the process.. that cant be right, surely? If I build my Xojo project, does that mean I am at the mercy of up/downloads to the cloud from now on? RapidWeaver sandwich files (.RWSW ) stall the upload. I copied mine to a USB drive, deleted them from the Mac, and synchronisation completed. Then UnSynch iCloud Desktop and Documents. All files become unavailable on the Mac, but thankfully remained in iCloud. Then COPY the contents of the virtual Desktop and virtual Documents in iCloud, and PASTE into real Desktop and real Documents. NowI have real files here , and copies in iCloud. To use iCloud as a (non automatic) backup, I need to COPY on my machine, and PASTE into iCloud. @Jeff T It seems to have deleted the lot from my machine in the process.. that cant be right, surely? · Julia T, Don L and Tim S like this. Going to waste hours and pretty damn stressful. I havn't photos and so deleted like Dave, but often icloud drive delete "things" you don't want. and I'd better know my files are on local drives. and backuped. · Dave S and Don L like this. When I open an app and use recent files, they open. But they aren't visible in Finder. If I turn iCloud off now, there will be no files on my machine, and I know they havent all uploaded yet. I think I need to wait until it completes, then copy 30Gb back again, then turn it off. don't interrupt it or you will certainly loose files. let it go to the end of the up-download and you may retrieve your files. but absolutely don't interrupt it ! The files should be BOTH on your computer and the cloud, but will of course only show in the folder iCloud since you told the computer to save them there. The folder iCloud IS a folder on your computer. When you modify a file then it will be synchronised with the file in the cloud. Are you showing the folder iCloud in the finder? But my desktop is empty, the folder called Documents is empty. 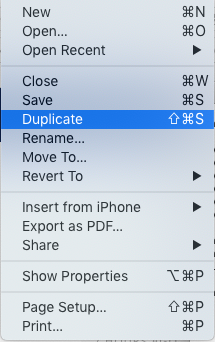 Shortcuts into Documents where I keep important files have disappeared from the Finder. If the files are on my computer, they are doing a good job of hiding. you can try to connect to icloud.com with your account, and see what files are already up there. Blimey. I was wrong about Desktop and Documents. See https://www.macworld.com/article/3267866/data-center-cloud/the-trouble-with-desktop-and-documents-enabled-for-icloud-drive.html - that‘s really dumb. Exactly. I'm angry.. l it stopped with 13 things to 'upload' ..I left it overnight, hadnt completed. Tried to turn it off.. So it wont let me turn it off. Wont turn off. Wont let me sign out. Apple Support have had me reset the machine a few times. So yeah.. don't click 'Synch Desktop and Documents', people..
Yep. Dumb (and dangerous) indeed Jeff. Hope you can retrieve all your files. Who decided that it was ok to design these sort of semi-autonomous systems that treat the user like "they're" the dumb one? The user should be the one in control, like "I'll tell YOU if I want you to automagically do that for me. Don't assume that I'm stupid, and therefore you must help me. Apple no longer has any idea of, nor care for, what computer users want. 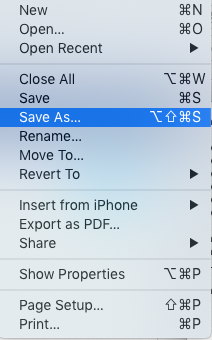 One need look no further than the deprecation of Save As, or the total de-functionalization of Preview. · Tim J, Jeff T and Robert W like this. Even with synch tuned off, I am sure that some synching / copying without my intervention is occurring. And the machine is perceptibly slower. I wish I had just stuck with external usb drives. Exactly! What on earth were they thinking? · Hal G, Tim J and Robert W like this. With iCloud Drive, make sure you switch off Optimize Mac Storage in Settings. This is on by default. I moved it back locally and lost all the icons in my menus. If I turn that off too, will I lose access to 'things that appear to be on my machine but probably are not any longer'?